The global market for oil filled transformers has been gaining increased traction in the face of the vast transformations seen in the power generation and distribution scenario as a number of renewable power sources become commercialized and pose the need for grid infrastructures that are more capable of incorporating them. As countries across the globe undertake measures of making renewables a larger part of their energy mixes, upgradation of electricity grids is underway. The scenario is fostering the global oil filled transformers market. 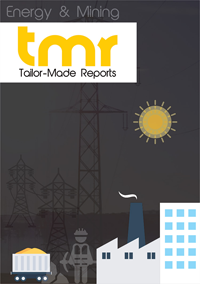 This report provides a detailed analytical account of the growth prospects of the global market for oil filled transformers over the period between 2018 and 2026. The market has been examined for key trends, growth drivers, challenges, and regulations in leading regional markets. Trends in terms of popular product varieties, technologies, and most profitable regional markets are included in the report. An account of the competitive dynamics of the market is also included to provide a much detailed account of how competition is shaping the face of the market. Some of the leading factors expected to work in favour of the global oil filled transformers market are the rising funds being diverted towards the modernization of electricity distribution infrastructure in developed economies and increased focus on the development of modern electricity transmission and distribution infrastructure in emerging economies. In developed economies across regions such as North America and Europe, investments towards the revitalization of the power sector, with the aim of making it more affordable, reliable, and flexible, have notably increased in the past few years. This can be attributed to the issues emerging due to aging of a significant portion of power grid and the need to incorporate new sources of power due to the rising production of electricity from renewables. In emerging economies across regions such as Latin America and Asia Pacific, the rising demand for electricity owing to steadily increasing populations and the thriving industrial sectors are compelling governments to invest in the expansion of their grid infrastructures. Rising numbers of urban settings in emerging economies and the increased demand for efficient power transmission systems from the same are also leading to an increased consumption of electricity, which is, in turn, driving the market for oil filled transformers. Moreover, increased focus on the development of the transportation industry and the expansion of road and rail networks in emerging economies are also likely to work in favour of the market. The report presents a detailed account of the growth prospects of the market in regions such as North America, Asia Pacific, Europe, Latin America, and Middle East and Africa. Presently, the market in Asia Pacific accounts for the dominant share in the global oil filled transformers market owing to the vast rise in power infrastructure development activities and the rising demand for electricity from a thriving industrial sector. The rising population in urban settings and the consecutive rise in electricity have also worked well for the regional market. The Asia Pacific market is likely to exhibit promising growth prospects in the near future as well. The markets in North America and Europe are also expected to promise healthy growth opportunities. Demand will be chiefly driven by the rise in grid modernization activities and focus on the development of renewable power networks. The market is expected to witness sluggish growth in regions such as Latin America and Middle East and Africa owing to the lack of modern grid infrastructure in these regions. Some of the leading companies operating in the global oil filled transformers market are Eaton Corporation, ABB, Schneider Electric SA., EMCO Ltd., Kirloskar Electric Company Limited, Elsewedy Electric, Mitsubishi Electric Corporation, Siemens, Toshiba Corporation, and General Electric.